The doctors and staff at the Vein & Vascular Center urge you to pay attention to the things you are putting into your body, and to know the effects that they have on your veins and circulatory system. Here are a few dietary choices that you can make to help improve and maintain your vascular health. Hydrate! This is the first and most important step in promoting excellent venous flow. Hydration is key to keeping your body going, so get lots of water throughout the day (8 hearty glasses alongside whatever other fluids of which you are partaking is the age-old recommendation). Get Your Fiber! A good daily intake of fiber is essential for maintaining a healthy weight, which does wonders for vascular health--and is particularly useful as a guard against varicose veins. A healthily functioning digestive tract is also an excellent combatant against bad cholesterol clogging up your arteries. That old chestnut about fiber keeping you regular is helpful, too--constipation puts pressure on veins throughout your entire body. Brighten Your Plate! Brightly coloured foods, specifically in the form of raw, fresh vegetables and fruits, tend to be exceptionally high in a type of metabolite known as bioflavonoids. These plant pigments serve many functions in the the floral kingdom, and in humans provide a whole host of health benefits. They reduce inflammation, are generally high in fiber (see above), boost the immune system, and basically promote good overall health. Pass On The Salt! Salt is a tricky beast of a seasoning. A small amount is necessary for your body to function properly at all. Too much can wreak havoc on that same body. And it’s not just salt itself, as high sodium intake from foodstuffs in general can lead to water retention and weight gain, which puts undue stress on your circulatory system. 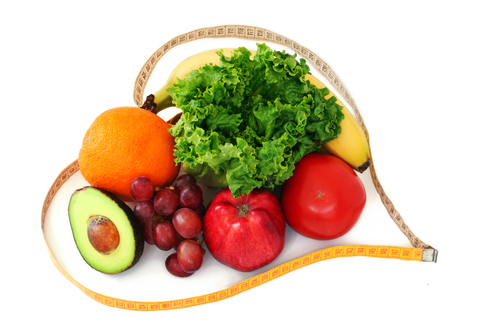 These are just a few dietary suggestions to help you keep your vascular health in mind. We know it can be a real struggle to focus on our health needs when our tummies start rumbling. Remember, barring some mishap, our bodies tend to work just as well as they are maintained through diet and exercise. Take the time to pay attention to what you are putting into yours. The better it is working, the more you can get out of it!